Alarmy (Sleep If U Can) iPhone App Review: Annoying Alarm! Alarmy (Sleep If U Can) is an iPhone app developed byDelight Room Co., Ltd. 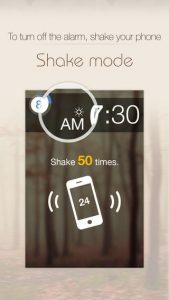 Billed as the “World’s Most Annoying Alarm App,” this alarm clock is especially hard to sleep through. This makes it perfect for heavy sleepers or the chronically sleep-deprived. 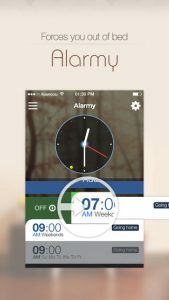 Alarmy (Sleep If U Can) operates on a really clever idea. In order to turn off the alarm, you need to physically get out of bed and take a picture of something. This might mean getting up to take a picture of your bathroom, your kitchen, or the inside of your closet. If you only need a little boost to get you awake, you can choose to take a picture of a place in your bedroom that can be photographed while you are still in bed, such as a bureau or the foot of your bed. 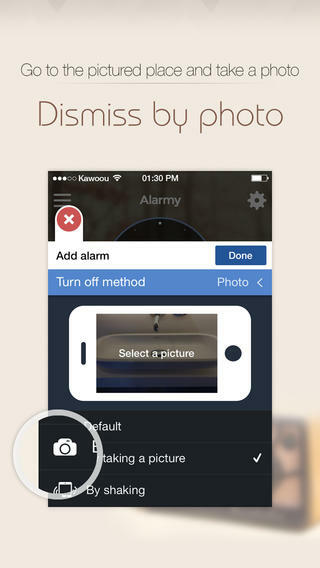 You might think that this cool “take a picture to shut off the alarm” functionality is enough to make this app a winner. But the developers also added an intuitive and attractive interface, which is great. In addition, there is another way to turn off the alarms. 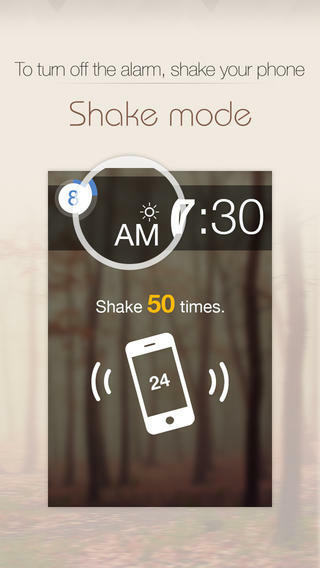 You can set the alarm to turn off after the phone has been shaken a certain number of times. This is great for people who sleep in low-light environments that wouldn’t be conducive to taking a picture. 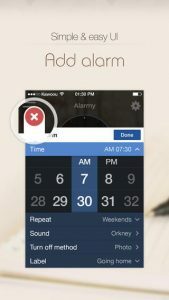 Whether you are a heavy sleeper, an overworked parent, or just need to make sure you wake up in time to catch your flight, this amazing app will rouse even the most exhausted sleeper. Want more? Check out Sleep If U Can on Facebook at https://www.facebook.com/SleepIfUCan. Alarmy (Sleep If U Can)requires iOS 5.0 or later. Compatible with iPhone, iPad, and iPod touch. This app is optimized for iPhone 5.